The main function of closed circuit cooling tower is to isolate outside impurities from entering into the cooling pipes. 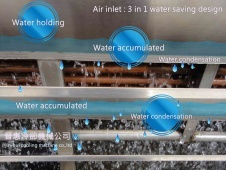 The closed circuit system makes sure that the cooling water is always clean and maintains stable cooling temperature. 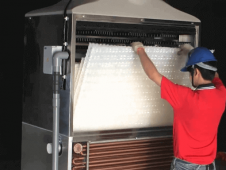 The interior of the heat exchanger is constructed with metal tubes as conductor. (It may differ for different design) It's sprayed with water for indirect cooling. The dirt will not enter the facility and it will be a closed circuit cooling system. It will not cause limescale either. 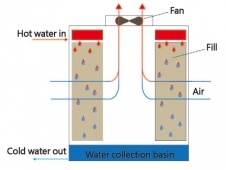 (Get to know the relationship between cooling tower and limescale).